What exactly is digital transformation? If you think it means designing a fresh-looking webpage and engaging in marketing campaigns via social media networks, you’re not wrong. And yet, it’s a much broader concept than that. Every company has its own approach to a digital transformation strategy. In general terms, we can define it as the integration of digital technology into all areas of business. Going digital, in one form or another, is the only way to survive, let alone flourish, in today’s market. Nowadays, whichever product you’re selling or service you’re providing, adopting a digital strategy is a guaranteed way to ensure you retain your existing customers and acquire new ones. It’s all about workforce enablement, customer experience, operational agility and the promotion of your company’s culture. One of the central cogs in this machine consists of two words: Mobile applications. Numbers speak louder than words. Smaato says that for every 8 minutes that users spend on their smartphone, 7 are spent accessing applications. Whether it’s a public-facing app or an ERP app for internal usage, few tools are more vital in growing a tight-knit corporate environment than a strong mobile strategy. We usually save the best for last, but this time we’re breaking with tradition to throw in a Joan solution right off the cuff. Because nothing is as universally important to any business as organization. Using the Joan mobile app booking rooms and managing various types of meetings can now be done on the go. Its notification feature keeps you informed on the status of meetings and their location, as well as who is going to be there and why. Another time-saving and stress-reducing organizational app is Insightly. It allows you to categorize contacts with tags, integrate their social profiles and generate tasks for team members while tracking the status of these tasks and create email reminders. Then there’s Trello, a useful project management app, which enables you to track work assignments and manage your team efforts. Its feature of adding comments, checklists, files, deadlines, etc., will keep employees informed by means of updates. Much smoother sailing, wouldn’t you agree? A similar work management platform is Asana that also offers its version of a mobile app. As time is money and vice versa, a good digital strategy also includes the use of mobile apps such as Gusto, which streamlines your company’s payroll, tax, and benefits process. This app handles tax filings, benefits and payments and sends emails of digital pay receipts to employees. But it’s not just about simplifying business processes and operations. Developing and spreading a company’s culture and promoting its brand are highly driven by mobile apps. The fact that you can now design your own app and personalize its features, many companies are looking to IT for innovative solutions that will enhance their customers’ experience. 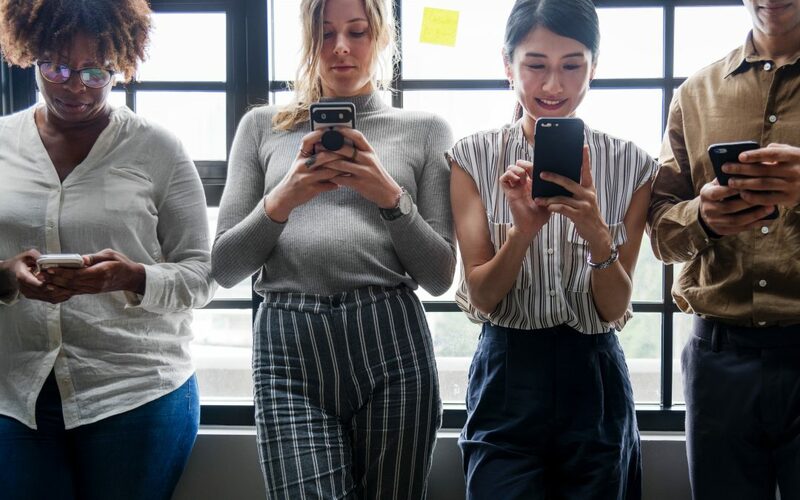 Mobile apps are simply the medium in reaching and better connecting with your target audience.